Lafayette, a city of 120,000 residents in southwestern Louisiana, is nicknamed “the Hub City” – the perfect label for a town seeking to boost bicycling. The University of Louisiana at Lafayette, home to 18,000 students and the Ragin' Cajuns, has helped spur interest in bicycling. The school is the only Bicycle Friendly University (Bronze Level) in the state. New cycling developments include bike lanes and the Atakapa-Ishak Trail, which will connect Lafayette to the nearby communities of Breaux Bridge and St. Martinville. Bicycle Friendly Community Status: None for city; the University of Louisiana at Lafayette is a Bronze-Level Bicycle Friendly University. Cycling Groups. Groups listed on the BikeLayfayette.org site include Cajun Cyclists, Krewe de Velo, Lafayette Critical Mass, Acadiana Bicycle Company Racing Team, Tri Cajuns, Yo! Lafayette Rides, and Couch Potato's Bicycling. Bike Law turned to local rider Bennett Marcel for his perspective on riding in Lafayette. Bennett has been cycling for about 30 years, primarily as a road biker. He is from the Lafayette area and returned to the region about 16 years ago from North Texas. Bennett says the terrain in and around Lafayette is mostly flat. “If I want to practice hills, I have to go up in a parking garage,” he says. He rides one of his two Treks (one carbon and one aluminum). Bennett says BikeLafayette has really been pushing to make Lafayette a more bike friendly area. “Lafayette is making great strides in adding bike lanes to numerous areas, especially extending outwards from the university,” he says. Bayou Tortue Road. This lightly trafficked scenic byway feels like riding through a tunnel of trees, Bennett says. “You can ride eight or nine miles to the town of St. Martinville, which is famous as the site of Evangaline Oak. That oak features prominently in Henry Wadsworth Longfellow's poem about the expulsion of Acadians from Novia Scotia. The St. Martinville post office features a 1940 mural, Evangeline, painted in 1940 by Minetta Good. Bennett says the town square, with a selection of bakeries and restaurants, makes for an ideal rest stop. “There’s a 40-mile Sunday ride that helps you offset the calories you pick up at the bakery,” Bennett says. Rip Van Winkle Gardens. When heading south, Bennett says he often does a 50-mile loop that passes by Rip Van Winkle Gardens on Lake Peigneur. The botanical gardens and Café Jefferson make for a convenient break, he says. The area is also famous for a 1980 salt dome disaster, when a drilling rig pierced the top of a salt dome beneath Jefferson Island, completely draining the massive freshwater lake – and converting it into a 1,300-foot-deep saltwater lake. The Swamp. The University of Louisiana at Lafayette features Cypress Lake, nicknamed “The Swamp,” which is a two-acre habitat for native irises, alligators, turtles. The Swamp is a draw for students as well as tourists visiting the city. Cycle Zydeco. Billed as “Lousiana’s Cajun and Creole Cycling Festival, Cycle Zydeco is a four-day bicycle tour in Acadiana. The event, which is held in the spring and kicks off in Lafayette, is produced by TRAIL, a non-profit organization dedicated to help build recreational facilities to help get people outside and active. 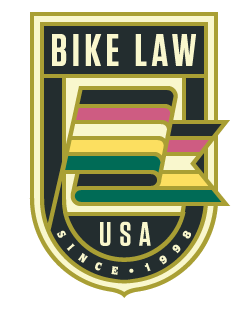 Bike Law is a national network of independent bicycle lawyers and law firms. We have a shared, effective approach to the law and to helping cyclists in biking accidents in Lafayette and throughout Louisiana. We are cyclists ourselves and we care deeply about the bicyclists in our communities. Please contact Bike Law Louisiana by using this form to report your bicycle accident. Cases in Lafayette are handled by Louisiana Bike Law attorney Charlie Thomas. Charlie has written about Louisiana biking laws and made news recently in having a police report corrected in a bicycle crash death case.